foil stamping + digital printing. Smock bamboo 1-ply ivory. 1 foil color (silver matte) + CMYK process. 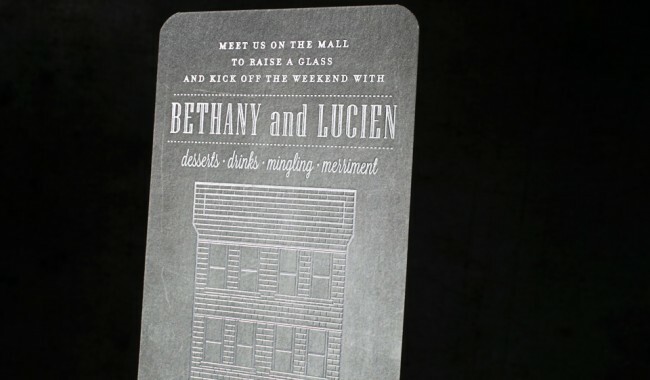 We worked with Elizabeth Upchurch at Fresh Ink to create these chalkboard inspired cocktail party invitations (#10) for Bethany and Lucien’s wedding weekend kickoff. 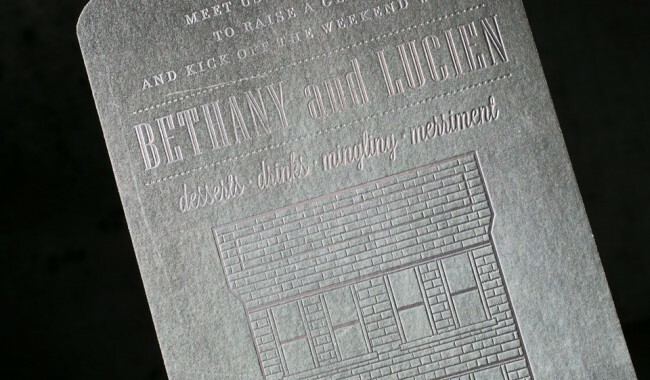 The invitations were double-sided, with a digitally printed, striped pattern on the back and chalkboard artwork on the front. 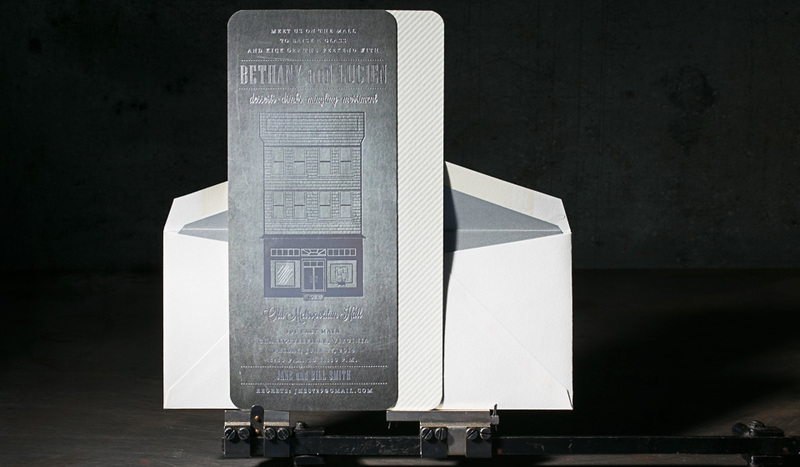 The invitation text and artwork were printed in silver matte foil, which coordinated with the platinum metallic envelope liners. Corner rounding added a nice finishing touch to this playful piece.